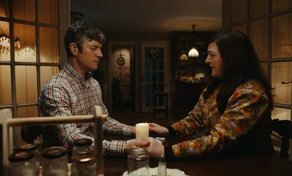 The first trailer has landed for Irish supernatural comedy ‘Extra Ordinary’ starring Irish comedian Maeve Higgins (‘Moone Boy’), Barry Ward (‘Taken Down’) and Will Forte (‘Nebraska’) ahead of its world premiere at SXSW on March 10th. ‘Extra Ordinary’ is officially selected for the Narrative Spotlight at the 2019 edition of the Austin-based festival. Written and directed by Mike Ahern and Enda Loughman, ‘Extra Ordinary’ is the debut feature film from the directing duo and will feature in the Narrative Spotlight section of the film festival, which is based in Austin, Texas. The film also boasts a strong Irish cast with Siobhan McSweeney (‘Derry Girls’), Risteard Cooper (‘Apres Match’), Alison Spittle (‘Nowhere Fast’), Mary McEvoy (‘Glenroe’) and Jamie Beamish (‘Derry Girls’) rounding out the cast. Other projects selected to screen at SXSW include the critically acclaimed ‘Wild Rose’ starring IFTA & BAFTA Rising Star nominee Jessie Buckley, which will also feature in the Narrative Spotlight section of the festival.